Ready to take your Savannah vacations with Southern Belle? 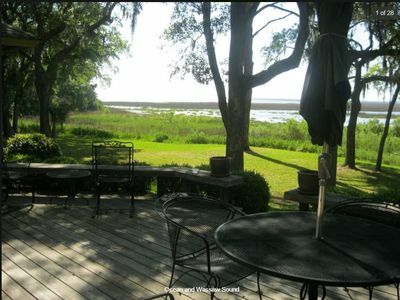 Come check out our great selection of Savannah vacation homes with excellent locations throughout the city. 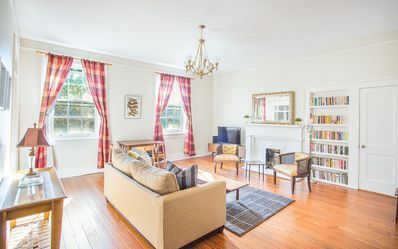 When you book Southern Belle's vacation rentals Savannah GA, you'll get completely furnished and tastefully decorated historic homes in desirable locations. 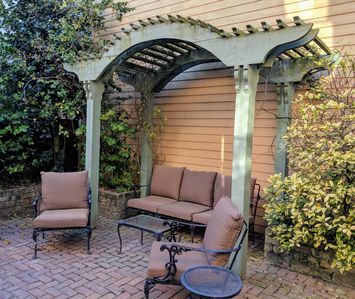 What better way to start your historic Savannah vacations than by staying in Savannah vacation rentals right in the middle of the action? 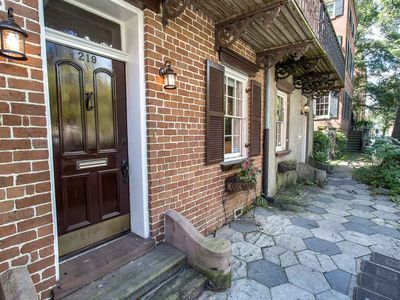 Our vacation rentals Savannah GA will put you in the heart of the Historic District with many overlooking the famous parks and squares. 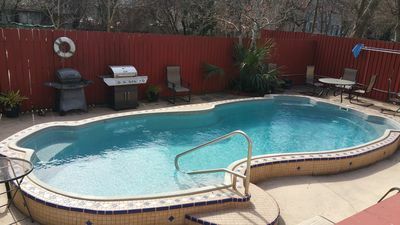 Not only that, but our Savannah vacation homes have all the great amenities of a hotel stay augmented by the extra convenience of full kitchens and laundry. 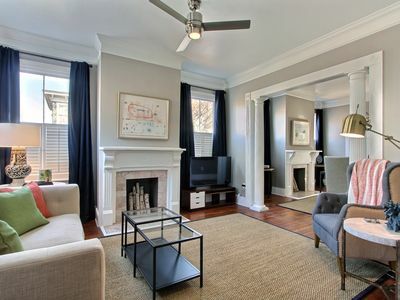 Make your Savannah vacations a bit more memorable by booking your Savannah vacation rentals with Southern Belle. 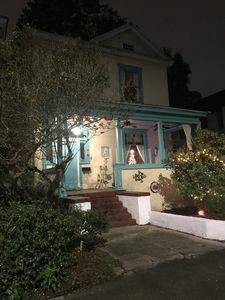 One of our Savannah vacation homes on Price Street is a two bedroom, two bathroom house that can sleep six guests and is about 1,300 square feet. As always with Southern Belle, this house comes stocked with the great amenities you'll enjoy during your stay. 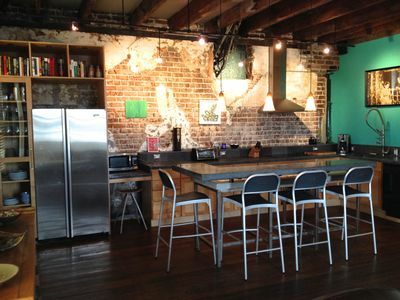 The kitchen is fully equipped and stocked with all necessary tools and appliances. There are two king bedrooms (Plus Queen Aero Bed) and a living room with a TV. You'll find a full bathroom both upstairs and downstairs. Cable service and wireless Internet are available. 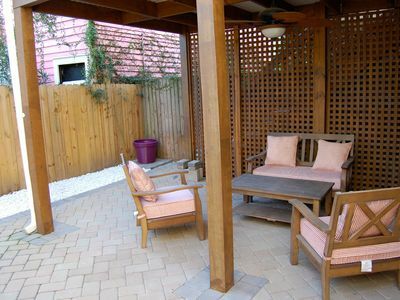 An in-house laundry unit is provided and you'll also find a back porch with outdoor furniture. When you walk into this property, you'll see a very modern styled front room with Corinthian pillars as an archway. 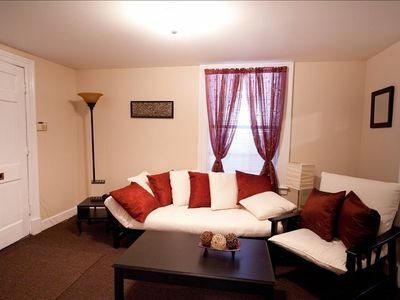 The formal dining room and living room are right across from each other. The kitchen is compact, but still offers ample room to work and modern appliances for your convenience. Bedrooms offer comfortable bedding and space to stretch out. This property is located only a short distance from Whitefield Square to the west, which was made in 1851. Queen Anne and Victorian style houses are in this area and many were built after the Civil War. The square features a picturesque Victorian gazebo in its center. Another nearby square is Calhoun Square, which was also laid out in 1851 and this one has homes around it constructed in the Greek revival style. 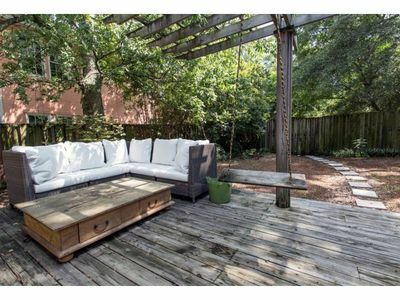 Only a few blocks to the west of this property is the largest park in Savannah in Forsyth Park. The park is a popular gathering place for locals and a much-visited tourist attraction as well. Within its confines, you'll find benches, picnic areas, walking trails, manicured gardens and a lunch cafe. There are also war monuments and memorials within the park. The numerous parks and squares within Savannah are charming green spaces that also feature historic memorials. 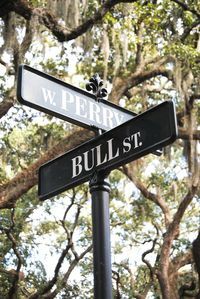 A number of annual events take place in Savannah and you might encounter one during your stay. 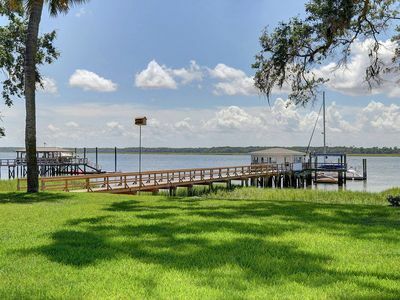 Fantastic Riverfront Home with Sleeping Space for 38! 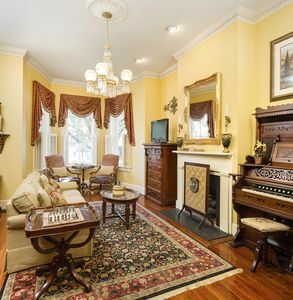 Cozy Suite, Historic District, Great Price! 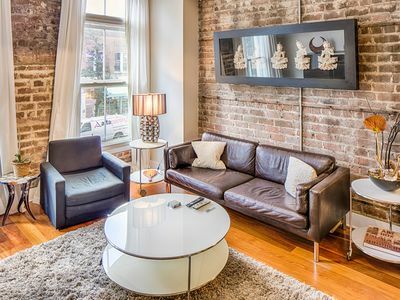 Contemporary loft w/ modern conveniences in the heart of the Historic District!